Summer is definitely most people's favorite season for organising weddings and other special occasions. It's easy to have events outside, especially in nature, which makes everything look more beautiful. I think bright colored dresses are a great choice when it comes to attending Summer events. There is no reason why you shouldn't choose a dress in a beautiful color during Summer. The important thing to keep in mind is that you should keep the rest of the outfit pretty simple so that colors and patterns don't clash. WeddingShe is a great choice if you are looking for cheap evening dresses that will make you look wonderful and feel special. Girls often don't want to, or can't spend a lot of money on evening dresses that they will wear only once or a couple of times, so affordable online shops like this one are a great solution. As one of the e-commerce pioneers in the field of international business, Weddingshe.com provides hundreds of dedicated products for global shoppers. Their buyers are from the US, Europe, Australia and Asia, totalling over 230 countries worldwide. Customer service is very important to the WeddingShe staff, so you can be sure they will always answer your questions and do the best they can to help you with your order. So if you are not sure about the best size for you, color, fit, style or anything else, feels free to contact them. These are some of my favorite dresses from their site, but for much more, definitely check it out on your own, and find the best style for yourself. 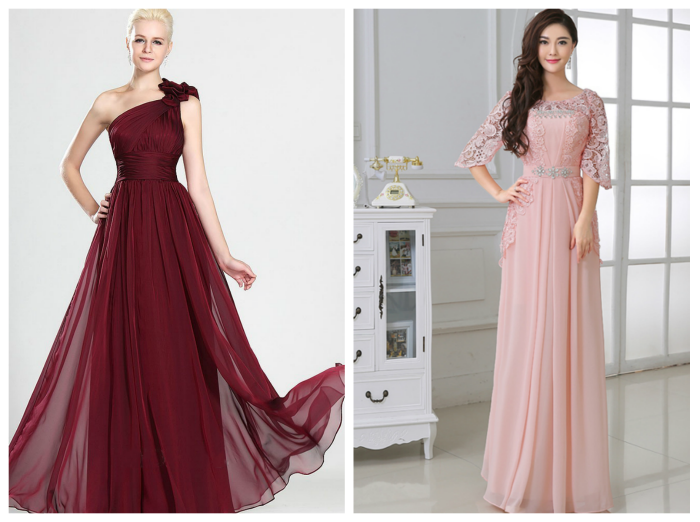 Every girl can find her perfect dress for any special occasion you can think of on WeddingShe.